Spectrum 2000 - VERSION "2012"
Always attention to detail, technical skills, passion in our work and great attention to customer needs are the strengths that have allowed us to excel in the field of sale of 1-Shot Lettering Enamel pinstriping 118 ml RUBINE RED 165-L.
Consultando il catalogo di Aerografando you will immediately notice how vast it is and how diversified the model range is 1-Shot Lettering Enamel, you will find the best 1-Shot Lettering Enamel pinstriping 118 ml RUBINE RED 165-L offers at the best prices on all 1-Shot Lettering Enamel pinstriping 118 ml RUBINE RED 165-L of the brands 1-Shot. Designed for traditional sign painting, these oil based lettering enamels provide superior vibrancy, flexibility, durability, and single stroke coverage. 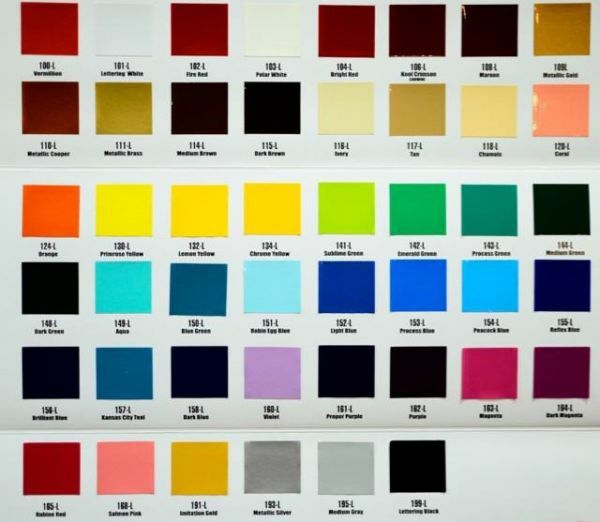 Specified for fine, sign paint lettering on store fronts and vehicles, the vibrant colors of 1 Shot Lettering Enamels spread evenly and offer outstanding hiding, durability and fade resistance. Superior flow characteristics assure the virtual absence of brush marks and provide a clean, sharp edge. Ideal for use on interior or exterior metal, glass, wood, and enamel receptive banners and vinyl. Read the reviews of our customers on 1-Shot Lettering Enamel pinstriping 118 ml RUBINE RED 165-L of the category 1-Shot Lettering Enamel. With us you will find only satisfied customers, thanks to a technical assistance made by those who really know the world 1-Shot Lettering Enamel. 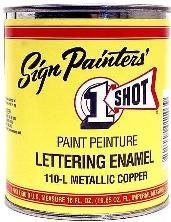 Review 1-Shot Lettering Enamel pinstriping 118 ml RUBINE RED 165-L of the brand 1-Shot. Trust in the quality and professionalism of Aerografando on the sale of 1-Shot Lettering Enamel pinstriping 118 ml RUBINE RED 165-L, only from us you will find the best prices. You want to have more details on 1-Shot Lettering Enamel pinstriping 118 ml RUBINE RED 165-L 165-Q or more generally on ours 1-Shot Lettering Enamel? You are looking for a 1-Shot Lettering Enamel but do not you find it in the catalog? Staff of Aerografando will answer all your requests. Your E-Mail address must contain a minimum of 6 characters. Your E-Mail address does not appear to be valid - please make any necessary corrections. necessary HTTP gdpr_pref aerografando.it 1 years It stores the status of the user's cookie consent for the current domain. Technical HTTP osCsid aerografando.it Session Required to maintain user identification during the session, to browse and provide requested services. Performance / Marketing HTTP __utma aerografando.it 2 years Register a unique ID used to generate statistical data on how the visitor uses the website. Performance / Marketing HTTP __utmb aerografando.it Session Used by Google Analytics to limit the frequency of requests. Performance / Marketing HTTP __utmc aerografando.it Session Register a unique ID used to generate statistical data on how the visitor uses the website. Performance / Marketing HTTP __utmt aerografando.it Session Register a unique ID used to generate statistical data on how the visitor uses the website. Performance / Marketing HTTP __utmv aerografando.it Session Register a unique ID used to generate statistical data on how the visitor uses the website. Performance / Marketing HTTP __utmz aerografando.it Session Register a unique ID used to generate statistical data on how the visitor uses the website.